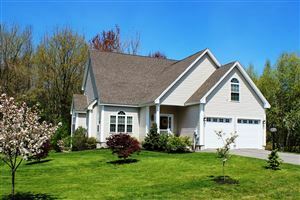 Country Meadows is a 27-lot subdivision in Old Orchard Beach, in close proximity to beach, pier, golf, country club, highway and all area amenities. Several lots remain available for sale and house packages are available starting at $349,000 with 3+ bedrooms, 2+ bathrooms, hardwood, granite, 2 car garages and potential for full basements. Stanley Street is almost sold out, with only 2 lots remaining, Meadow Lane is sold out, and Country Drive offers 8 lots. Lot sizes range from .24 acres to .67 acres, and all offer private wooded rear yards and most abut the large open area behind this subdivision. While currently private, the subdivision was built to Town standard and we expect it to go public soon. The developer currently plows and maintains the road and annual fee is being determined and will be charged back to owners until it goes public. Bring your own builder (design standards apply) or pick from our many home packages.